Domestic violence allegations are taken seriously by the court when they arise in divorce and custody cases. Often, these allegations are true and require court intervention to protect the victims of domestic violence or abuse. Unfortunately, however, not all domestic violence allegations are valid. In fact, sometimes, these allegations are strategically and falsely made when one party is trying to gain leverage in a divorce or custody case. 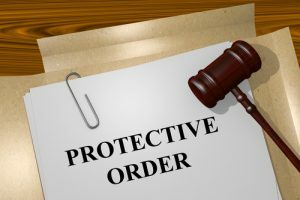 At Sutherland Law Firm, LLC, our Las Cruces family lawyers are experienced at protecting our clients’ rights and interests in any family law case that involves domestic violence allegations. Compassionate and insightful, our attorneys are ready to help you resolve domestic violence issues and bring your family law case to the best possible outcome. When you contact us, you can get essential information regarding how to protect your interests as you move forward with your case. Our goal is help you put the conflict behind you so you can focus on your fresh start and new beginning. Domestic Violence & Abuse Defined: What Constitutes Domestic Violence? Domestic violence can involve physical, psychological and/or financial abuse that victimizes a spouse, a partner and/or a child. While domestic violence commonly involves physical acts or harm, it does not have to. Threats of harm, as well as harassment and stalking, with or without physical harm can also constitute domestic violence, according to New Mexico law. When domestic violence and abuse threaten your safety or the safety of your children, seeking protection and getting out of the abusive situation is critical. Typically, seeking an emergency or temporary order of protection will be necessary. Give the alleged victim and the alleged abuser the opportunity to present their case before the family court judge. Coming within a certain distance of the victims’ workplace and/or school. Please be aware that a finding of domestic violence in civil court will not necessarily trigger criminal charges against the alleged abuser. If it does, however, the case will proceed in criminal court, independent of the family law case. Your interests in divorce and custody matters. Character witnesses, police reports and psychologist reports are just some types of evidence that can be helpful to proving when wrongful domestic allegations have been made. For effective representation in any family law case that involves domestic violence allegations, contact us Call 505-293-9333 or email our firm. Our attorneys have 40 years of experience helping clients successfully navigate the complexities of family law cases. Empathetic and diligent, we can help you protect your rights and advance your interests whenever domestic violence allegations arise in divorce or custody cases.